"Excellent Opportunity" for a single owner operator with part time help. State of the art Tatts Gen 1 shop fit. The shop is well patronised with by the local community and enjoys a high traffic flow at all times. The current services included are: all lotto services, Greeting Cards, Stationery, Giftware, Books, Toys, Magazines and Newspapers etc. This retail only shop is also situated opposite new development with 2 500 new residents expected. Ideal for a single operator to run with excellent returns. Situated in a busy Community Shopping Square close to the station. Proven business - currently operated by Lady with Staff, more suited for a couple so wages would be saved substantially. Excellent lease, ample carparking - an ideal first agency. Excellent Opportunity" for a couple in this top performing Lotto and Sub-News business. Brand new modern shop fit. The shop is well patronised by the locals in this village like atmosphere. 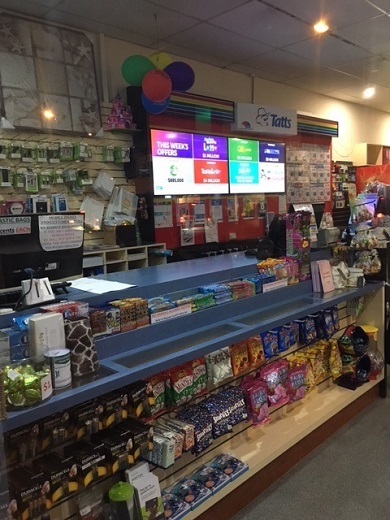 Included are Tatts with commissions of $224K, Myki, Phone cards – All types, Stationery, Greeting Cards & Wrap, Toys, Photocopying, Fax, Gift Cards, Confectionary, Giftware etc. Excellents profits.